My family loves horse racing. They pour over the statistics on the horses to see if they can pick the winner for each race. Sometimes I go with them and bring a friend who has never been to the races before. Invariably, I wind up sitting between my family, picking winners from experience, and my friend, picking winners from beginner's luck. I'm in the middle with no winners and just enough knowledge to be ineffective! If you feel the same way right now about the tarot, don't be discouraged. At this point, you have a firm foundation of knowledge about the cards that will sustain you in the days ahead. If you continue to practice, you'll find the techniques become more and more invisible as your intuition takes over. Eventually you will reach a point where you can rely on your tarot abilities consistently. You won't have to continue working with the cards as intensely unless you want to. These days I go to the cards only when I have a puzzling problem or situation that I know they can help me with. The tarot is a tool I can count on. I'm sure you've found already that you do not feel neutral about your readings. No matter what the situation, as you lay out the cards, you hope for ones that will be positive and encouraging. This is only natural. In my experience, people want to know right away if their situation looks good. They respond cheerfully to the pleasant cards, but recoil in disappointment if a nasty one appears. Indeed, it is difficult to look at a card such as the Tower and accept it calmly. We don't want something scary to happen; we want the good! In fact, the good and the bad are so mixed in life that these terms finally become meaningless. If you were to lose a leg in an accident, but then develop great inner strength during recovery, could you really say the accident was completely bad? If you were to be fired from your job, but then find a better one on the rebound, where is the positive and negative in this situation? The cards in the tarot are not good or bad in themselves. 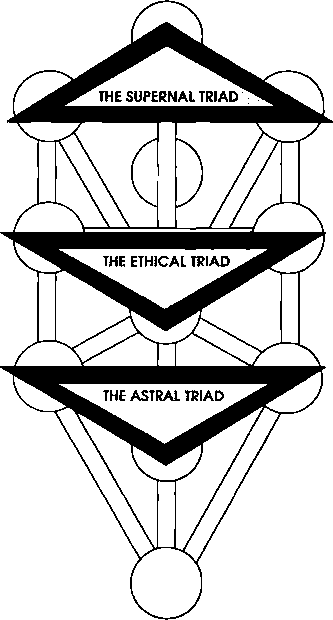 They only describe certain energies or influences. It is up to you to use this information to make conscious choices about your life. Although the Tower can show a shattering breakup or downfall of some kind, you do not have to view this negatively. Sometimes an explosion of feeling or dramatic shakeup provides welcome relief, clearing the air and freeing up new energy. It is your concentrated clarity about a situation that gives you the power to mold events along the lines of your choosing. This clarity comes from the wisdom of your Inner Guide paired with the fearless confidence you have in yourself. A reading does not deliver news to you as a passive victim, but as a powerful agent who can use that information creatively. It gives you a picture of the energy patterns in and around you so that you can work with them as you see fit. Always remember that the outcome pictured in a reading is the one projected for now from all the influences of the present moment. If you can identify those forces, you can alter or encourage them as you wish. The future is never fixed. The outcome of your story is not a certainty, but a possibility. You can always embrace or change a direction provided you have the desire and courage to take the necessary steps. At the deepest level, you know what your situation is all about. 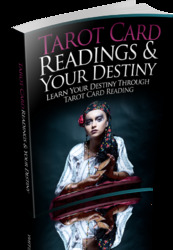 Your tarot story simply lets you recognize what you already know so you can act consciously. Perhaps you are concerned that you aren't objective enough when reading the cards. You suspect that you only see in a reading what you want to see, and not the truth. In fact, that is exactly the point! The tarot helps you find out what it is you do believe, so you can acknowledge it. Your unconscious becomes conscious. You can't interpret falsely, but you can fail to perceive all that is there. The tarot is a mirror that reflects your own consciousness back to you. As you learn, that mirror becomes clearer, and you perceive at ever deeper levels. A tarot practice is based on the understanding that wisdom from some Source will come to you through the cards. At first, you may have to accept this on faith, but after awhile you will receive the "proof" you need in the results you experience in your life. If you can approach the cards with trust, your tarot practice will take off. Good luck!